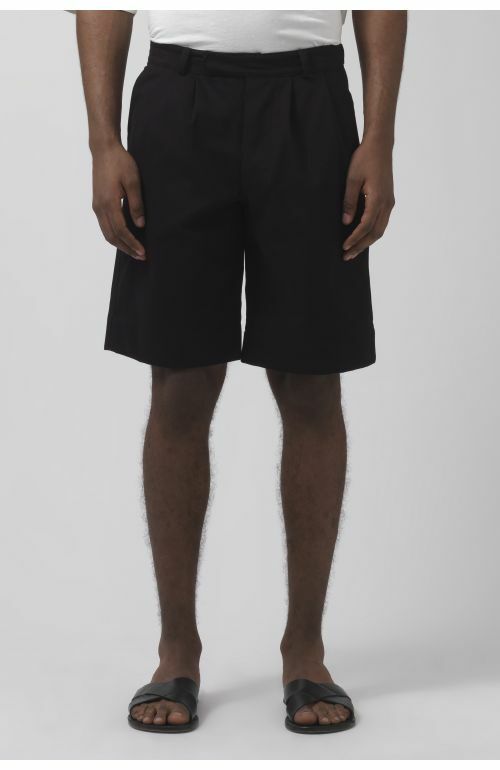 Cedric sand organic cotton shorts by Katharine Hamnett London featuring two side pockets, knee length, relaxed fit, two front pleates, waist strapped detail, one back pocket. 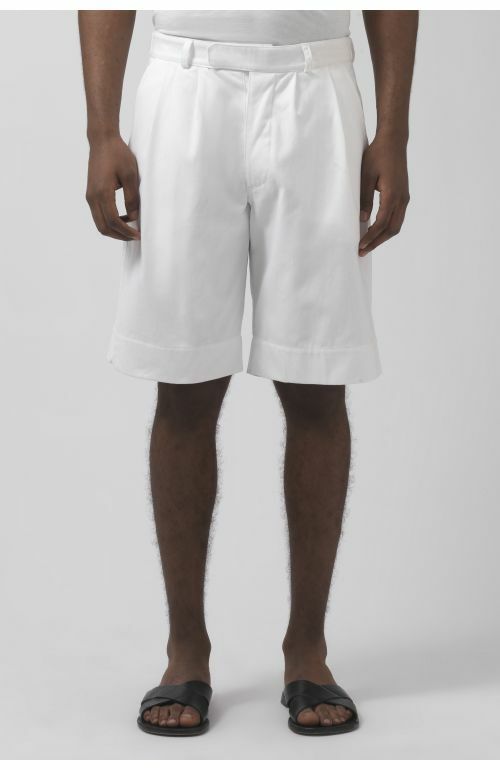 100% Organic cotton poplin. Made in Italy. 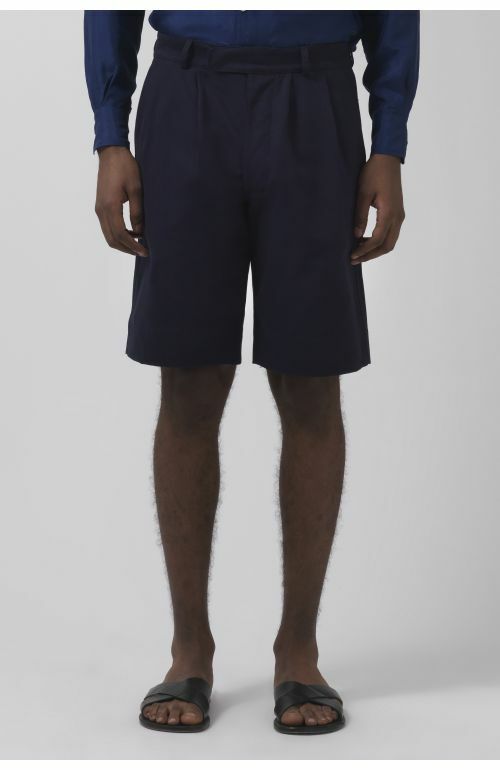 The model is 188 cm/6'2" tall and is wearing size 32. 100% of organic cotton in the Katharine Hamnett London SS19 collection is GOTS certified.